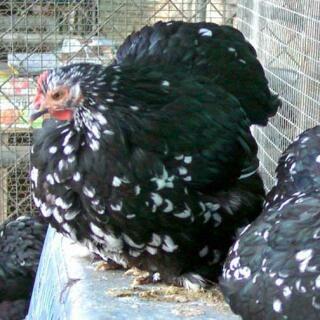 Cochins originated from China in the early 1850s where it was known as the Shanghai or the Cochin-China. 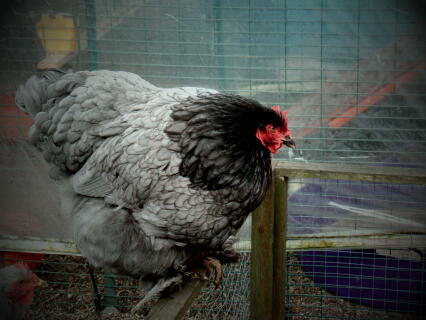 The original birds were received by Queen Victoria which led to great popularity for the breed. It was believed that the Chinese bred them with such profuse feathering for filling duvets. 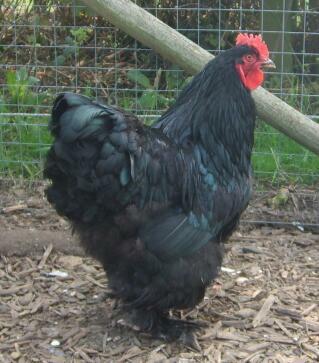 The Cochin has no sharp angles and is very rounded in appearance. They are the largest of the heavy breeds and cockerels can weigh in at 12lbs! They are broad birds too and this is enhanced by the enormous amount of feathers that they have. The plumage is soft with short broad feathers. 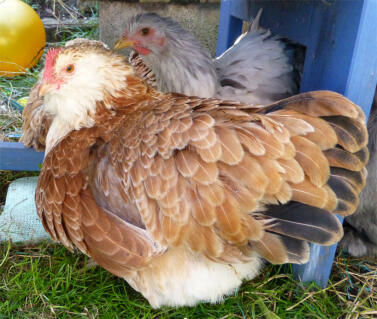 The Cochins rounded appearance unfortunately affects its health as the birds tend to suffer from metabolism and heart problems which is compounded by their rather lazy lifestyle. They like to be kept on short grass and will not venture onto longer vegetation as this damages the feathers on their feet. They take up remarkably little room and like to be contained with fencing but avoid putting them onto cold, wet grass as youngsters. 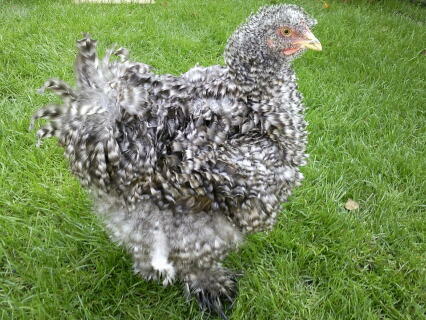 The profuse leg and foot feathering means that it is best to confine Cochins on wet days when mud becomes a problem and can cause balls of mud to collect under their feet. They do not fly and a 2 foot fence is sufficient to keep them contained. 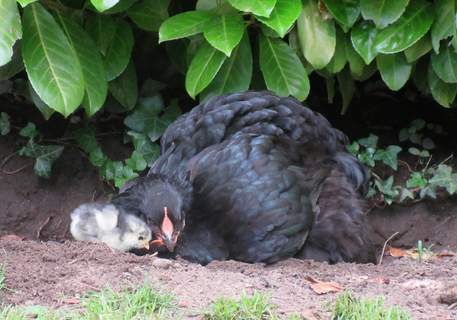 They make excellent broodies because of their calm, maternal nature. 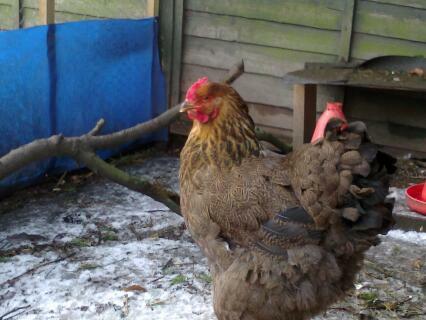 They lay quite large eggs but don't produce many over the year. 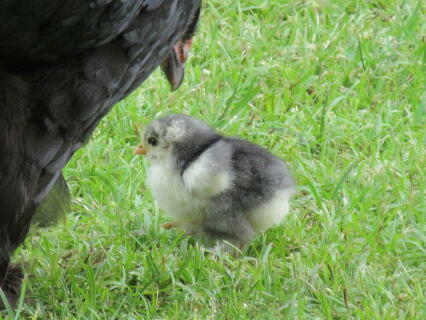 The chicks are strong when they hatch but take 22 days rather than the usual 21 to emerge. 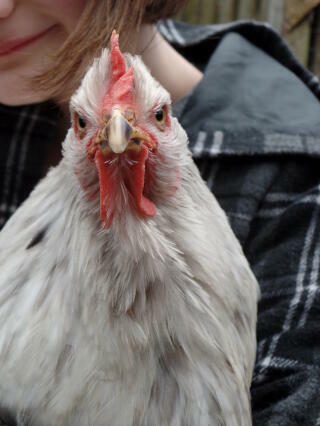 Cochins are friendly, docile chickens and tend to be submissive when kept with more aggressive breeds. They require good quality feed and mature in two years. 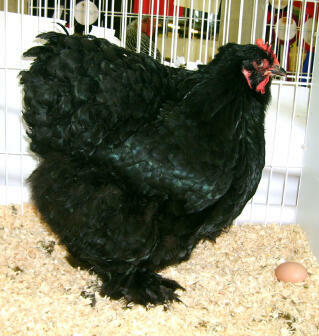 They make remarkably good pets and a pet Cochin should live between 8-10 years. Black, blue, buff, cuckoo, partridge, grouse and white. The legs are yellow and the ear lobes are red while the eyes are a reddish bay. 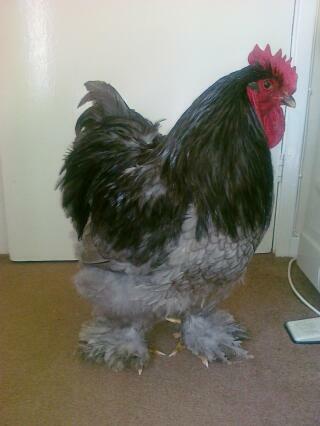 I have owned 3 Cochins, 1 boy and 2 girls. I used to have a boy, who was a rescued, (He was going to be eaten) we had him when he was around 2 months old and he used to be mummy's little boy (Littarly we used to take selfies together). 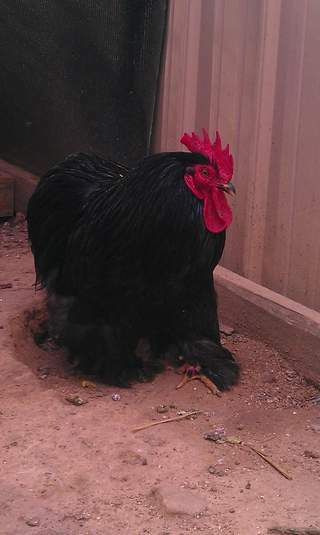 As he got bigger and older he had more and more faults, he thought he was so small, when he mated but he did make a few of my hens bleed (Some were small, some don't like being mated) and he had grown a bigger attitude with me (he used to peck me and wouldn't come near me). 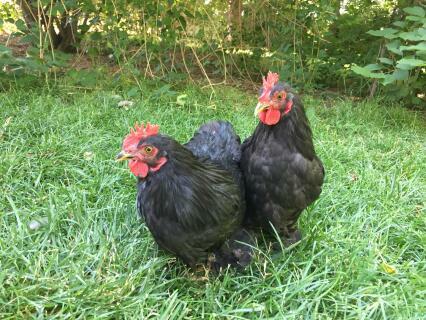 The two new girls who I got when they were 2 years old, were from a terrible farm, they came into my coop terrified of both chickens and people, every time I pick them up they show that they are frightened of me and more I try to get them to be used to it, the more and more stressed they are. They are also a job to hold if they don't like being picked up because there wings will hit you and it hurts. 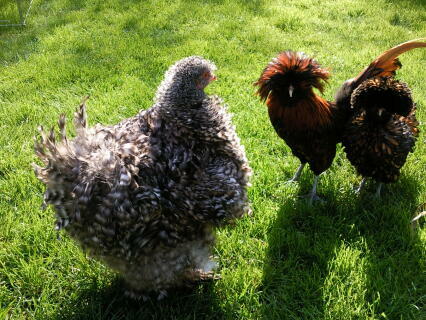 Pekin,Cochin bantams, as they are called in Europe are breed from those brought back from Pekin China during the opium wars. Then things happened in UK to develope a weak breed into what we know and love now. Of course work is still on the go and the German and Dutch have gained change in the breed to give us almost perfection. Mine enjoy the gardens here in Letland.Winter is down to -34 and summers up to 90+ and they survive with insulated cabins outside. They dislike snow but otherwise are as hard as old boots. 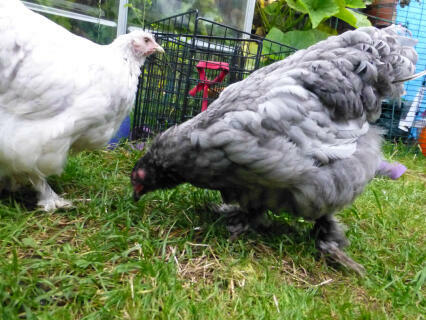 We grow fruit and veg in one section and lawns in the centre grounds gives my Cochin bantams all the space they need to grow and impress us all. Like a cloud of mist they race across the green sward of grass white, buff and mixed all together but penned as separate this works for us. We watch out for the fox and hawks but the balls of feather remain in charge of the land. 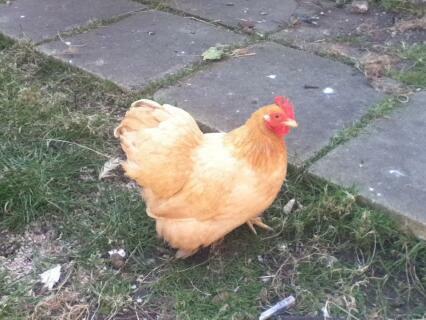 I lost one to a next door dog and now have fenced them off. The woodland helps hide the bantams and they spend time in the woods then sunbath near the pond on the lawns at two every day. Like clockwork and easy to track we love them and sell when we have so many broodies that we breed trios for sale and it pays for their corn and mash and so costs us little to keep twelve birds. I make and have made their housing and that is part of the fun too. I am so hooked on the flock I even have joined the International Cochin Club and hope to show at their arranged Cochin shows. To us here at home we would not be without them and for what little damage to cabbage and lavender heads we grow more and so no problem. No other plant is touched it seems so besides grass they do not over eat and so being so little and with massive feathered feet they are clowns at work and laughable to observe. They do not dig holes do not scratt the soils and behave like trained children following you around at heel hoping for worms as you hoe or dig. Pets really but their eggs are great but for every one you will need two. 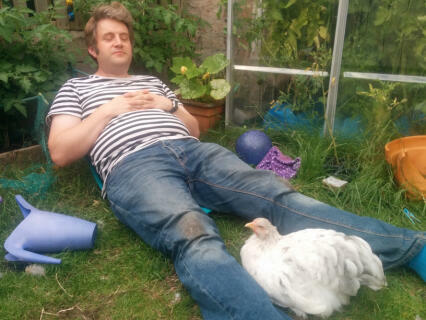 Cakes , breakfasts and then hatching for summer chicks. 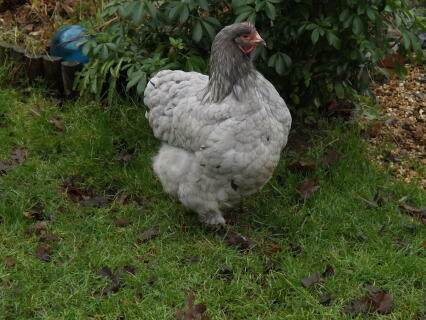 Hope this helps you decide on having Cochin Pekin bantams. They do not require much space but if you have it, no problem. 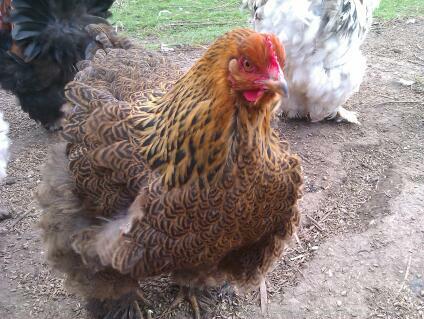 My cochins would eat out of my hand and follow me around the garden and they always were ready to eat! So tame, that you trip over them, great in large groups. Ever so gentle. Just a big bundle of fluff. Not a great amount of eggs, but quite a good size. My favorite breed.